Tips for experienced motorcycle riders. Never been out of the saddle? You can still get better. Been off the bike for a while and coming back to riding? You need to rediscover and reboot your sixth sense. Get the most out of group rides. 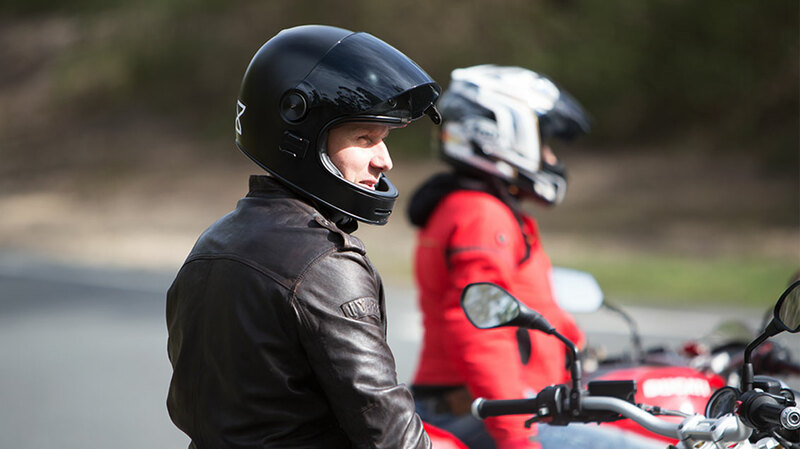 Watch "Tips for group motorcycle rides" to learn how everyone can have a blast and get home in one piece. Return to riding faster with these tips. For returning riders, the most dangerous time is the first couple of months back on the bike. 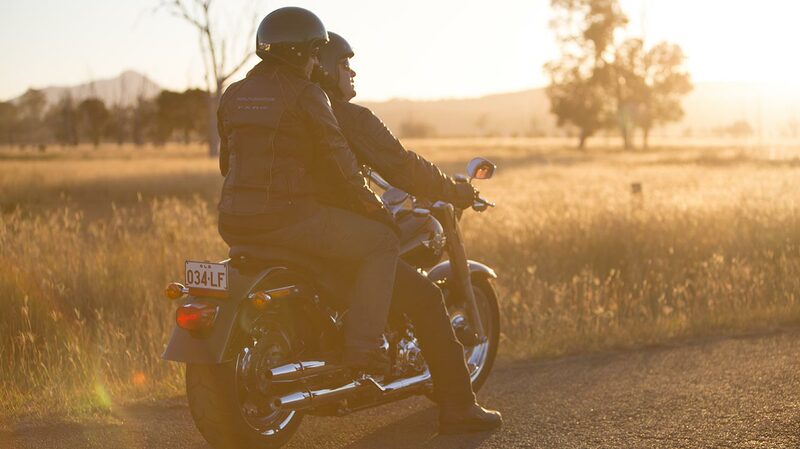 Read more about returning to riding in Queensland motorcycle riders’ guide. Buy the safest bike you can afford. Stay up-to-date with new technology that could save your life. 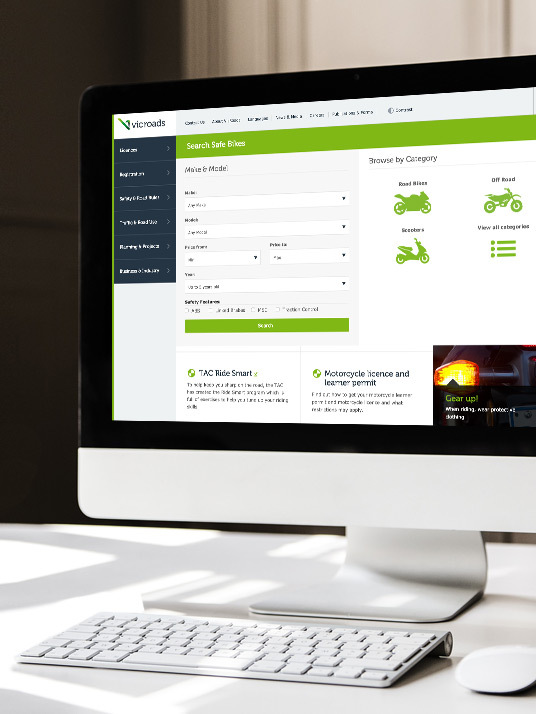 Visit the Vic Roads safe bikes finder. 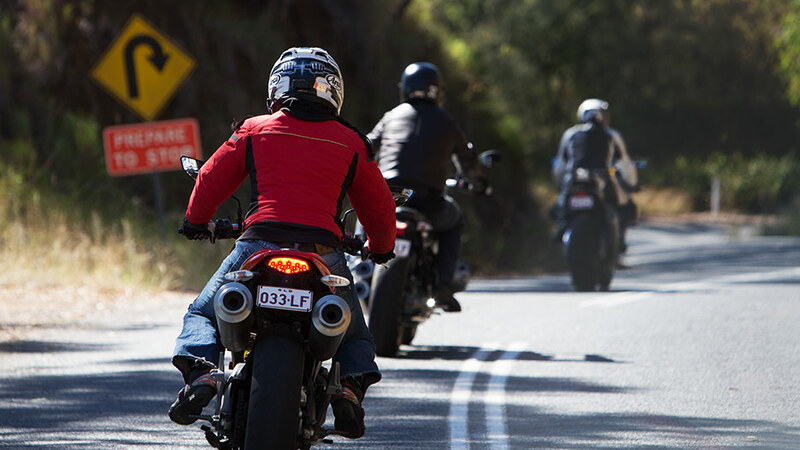 Riding solo is fun but riding with a group of mates takes it to a whole other level. Developing a sixth sense for group dynamics and learning to look out for every member of the group will help you enjoy it even more. If you’re new to group riding it’s easy to get pushed into riding beyond your ability. The best way to stop this happening is to ride with people you trust. If you’re less experienced, real mates will respect your skill level and ride accordingly. Equally, if you’re an experienced rider and a new rider joins the group, it’s your responsibility to make sure you don’t encourage them to try too hard to stay in touch. Get the group to ease back a bit and look after the newbie. Remember you were in their position once. A common problem for group riders is speeding. We’ve all seen it happen, everyone starts off riding together but then one rider has a faster bike so they up the pace a bit, and then another responds and then another doesn’t want to be the odd one out so they give it a bit of extra throttle too and soon the whole group is going too fast, risking lives and demerit points. So if someone new comes along and does something dumb, like speeding, just let them go. Group riding isn’t a competition - if you want to compete, go to a track day. Trust your sixth sense on this one and speak up. If they want to ride with you again, they need to understand the group’s attitude and agree with it. Of course there are going to be times when the group gets split up because of traffic conditions or road signals. But when it happens don’t worry, just relax, stay in control and don’t fall into the trap of pushing harder to catch up. Instead, agree on a couple of meeting points that you can use if the group gets too spread out and catch up there. Different bikes, different riding styles, different people – that’s what makes group riding a blast. So get organised, work out your route in advance, plan your rest stops, ride to the abilities of the least experienced rider in your group, stay focused on making sure no-one gets left behind and you’ll have an awesome day out. Watch “Group riding” on YouTube.